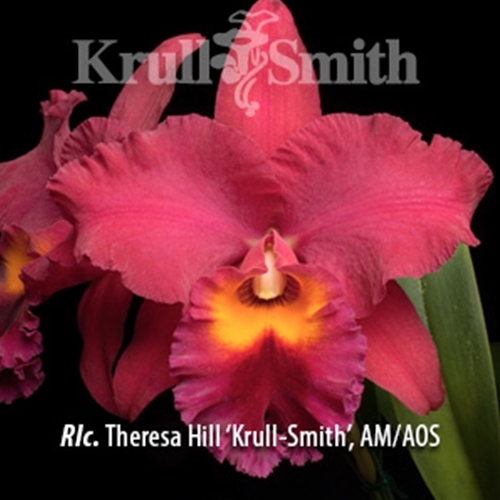 Named in honor of one of the orchid world’s most accomplished hybridizers, a beautiful lady and one of our dearest friends, Rlc. Theresa Hill (Goldenzelle x Carolina Splendor) is everything one would expect from two of the most famous and prolific parents in the Cattleya alliance. Large, flowering size plant in 6" pot.